Now, more forward-thinking individuals have found a different way to make money from socializing online through personals blogs they create. It can be anything, from a food blog, a travel blog, etc. They make money the more their followers grow and this money often comes from online advertisers. Blogging is actually a lucrative career right now when the majority of the population is hooked on social media and goes online too on a daily basis. Tracking the flow of influencers across social media platforms is a good way to ascertain which services are gaining importance and which ones are losing their luster. In 2014, for example, some creators who had previously gotten big on Vine, such as Jerome Jarre, opted to spend more of their time and resources on Snapchat. Two years later, Vine was on its way out, and Snapchat was headed for Wall Street. Snapchat’s post-IPO struggles have been well-documented (here’s some of our latest coverage), and a recent survey has revealed that the messaging app may be falling out of favor among influencers. Adweek surveyed about 600 creators, most of whom seem to be more interested in maintaining their activity on Instagram and personal blogs than on Snapchat. Bloggers often have their niche platforms depending on their interests. More artsy individuals prefer Pinterest over Twitter. Travelers love Instagram and Facebook is a favorite by most bloggers because almost everybody uses it and you can easily establish an audience anytime soon. If there is something bloggers don’t really find beneficial for them, it is the use of Snapchat. Lately, signs — including the 22-percent drop in Snapchat downloads over the last two months — are pointing toward a surge of influencers turning away from the platform. In a study of 550 social influencers in May 2017, influencer marketing company Collective Bias found that almost 70 percent had paused certain social accounts to prioritize others. Only one in three influencers (35 percent) have paused their use of Twitter, while 40 percent have paused YouTube, and almost half (46 percent) have paused their use of Snapchat. Snapchat ranked among influencers as the most likely platform to be put on hold, with 46 percent indicating it would be their first choice to cut. 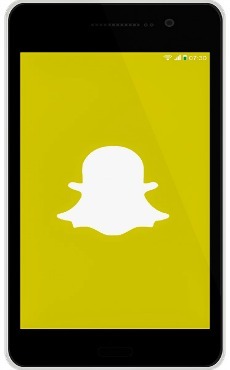 Basically, Snapchat allows individuals to take self-destructing photos and videos that disappear in seconds. People, especially the youth, can’t get enough of it at first but there’s really nothing special about it, which is probably why top social media influencers are dropping it or aren’t as active anymore. Even the app downloads have significantly decreased as of late making a lot of people wonder. Influencers won’t have second thoughts dropping Snapchat if necessary and the majority of them are in agreement in saying that Snapchat isn’t the best platform in the next few years or so. Unlike Instagram that bloggers and other social media influencers are raving about as of late, the demand for Snapchat is gradually drizzling down alongside Youtube, although we can’t deny the appeal of the latter among people who love streaming movies and other videos online. Marketers and entrepreneurs can learn a lot from these changes as they will have an idea as to what platform to invest in and where they can reach the most audience that can be converted into actual sales later on.